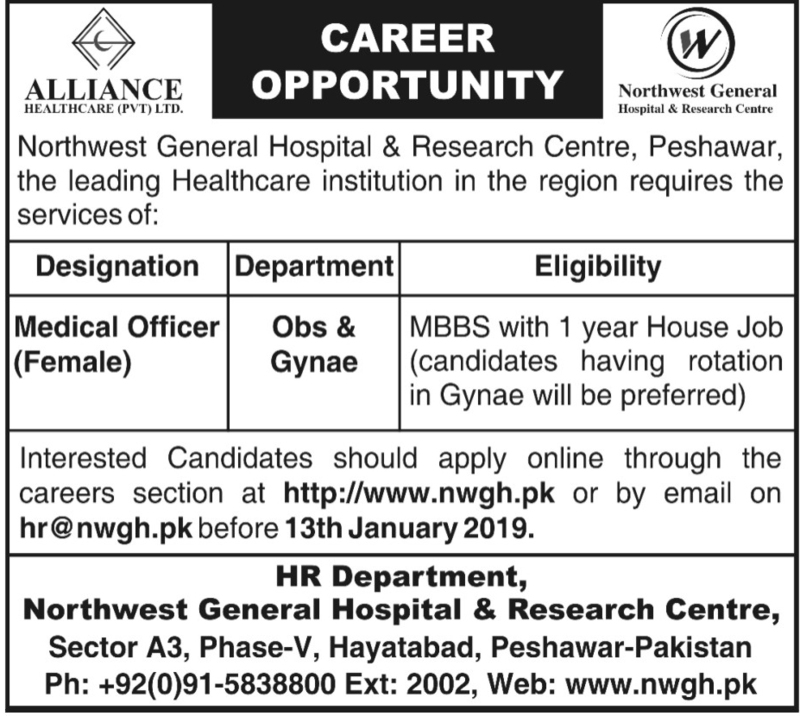 Below are the complete details of the Medical Officer jobs in Alliance Healthcare Pvt Limited in Peshawar. Qualification: Alliance Healthcare Pvt Limited Peshawar Jobs For Medical Officer. Required Qualification: MBBS from Recognized University/ Institution. One Year House Job. Attractive Salary Package. Last Date for Submission of Application 13rd January 2019. 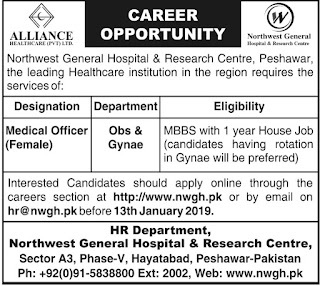 Medical Officer jobs in Alliance Healthcare Pvt Limited Peshawar, in Pakistan published on Paperpk.com from newspaper on January 08,2019. Job seekers who are already working as doctor , senior medical officer ,Skin Specialist, Medical Specialist, ENT Specialist, Eye Specialist, Child Specialist, MBBS Medical Officer, Radiologist, Staff Nurse, LHV, Doctor, Lady Doctor, Technicians, Pharmacist, Midwives, Gynecologist, MBBS Doctor ,MBBS Consultant, Male Doctorsurgon , lady doctor can also apply for post of Medical Officer.